Eight young Nigerian nutritionists have been awarded cash prizes by FrieslandCampina WAMCO, makers of Peak and Three Crowns milk for their excellent scientific research presentations at the just concluded 47th Annual General Meeting(AGM) and Scientific Conference of the Nutrition Society of Nigeria. The awardees are all Master of Science (MSc) and Doctor of Philosophy (PhD) students below age 35. They are Ifeoma Ezeh, Yetunde Ogundairo, Chukwuka Oluebube and Joy Amadi. Others are Michael Oderinde, Ebunoluwa Odeyinde, Chinenye Ekwueme and John Ebenezer. Tagged “Controversies in Nutrition: Separating Facts from Fads and Fallacies” the five-day conference was held at the University of Ibadan, Oyo State, and it had over 600 participants. 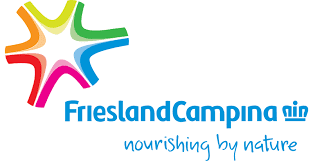 FrieslandCampina WAMCO also championed fitness routines for the delegates. The company organised 15-minute twice-daily Three Crowns milk-sponsored aerobic sessions that drew attention to the need for everyone to stay fit and healthy with the right nutrition and daily exercises. Participants enjoyed a 30-minute cardio session on the last day of the conference. Keynote speaker at the conference, Professor I. A. Onimawo highlighted key controversies in nutrition that affect infant and young child feeding, food consumption, diet-related non-communicable diseases and healthy diets. In a communiqué issued after the conference held September from 19 to 23, the Nutrition Society of Nigeria called on government to ensure nutrition security in the country through budgetary allocations and institutionalizing nutrition in relevant ministries and agencies of government.